Clive Thompson published a comprehensive overview of the research on social contagion in the New York Times Magazine recently. The science behind social contagion is of great relevance to destination/community marketing organizations including defending image and brand. 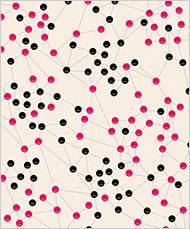 Social contagion is the way ideas and behaviors move through social networks. This report builds on books by authors like Malcolm Gladwell and Seth Godwin. But as Thompson illustrates so well, it also has relevance to public health and overcoming things like obesity, etc.